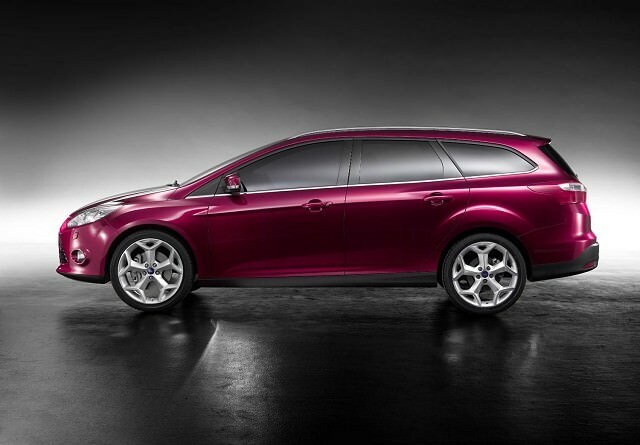 Ford’s third generation Focus ramped up its quality rating, but missed out on its predecessor's massively roomy cabin. The Focus model range is a broad church, spanning all the way from a basic 1.6-litre petrol entry-level model, through the hugely popular diesel 1.6 (which represents most of the used stock you’ll find available for sale in Ireland) and on to the rarer models such as the powerful 2.0-litre diesel and the high-performance ST versions. Ford kept the body choices a little simpler this time around too – you can still get a five-door hatch, a four-door saloon or a five-door estate, but the three-door hatch was dropped. Inside, quality and design took a serious turn for the better. Out went the MkII Focus’ Lego-reject plastics and thin, hard seats and in came something a lot more stylish and better built. Some models got the early versions of the SYNC infotainment system, which, while a little fiddly compared to more modern systems, is still very handy for connecting your mobile phone to, both for calls and for music streaming. The popular 1.6 TDCi diesel is the engine you’ll find fitted to most Focus and that’s fine – it has plenty of torque and is pretty smooth, but never buy one without a full service history and you’ll need to look after it. Make sure it gets a high-grade oil at service time too so that the oil channels don’t get ‘sludged up’ and keep an eye on the fragile plastic water pump too. As for general reliability though, the Focus is really good, with few reports of any common maladies. Just check for the usual knocks and scrapes and remember that many will have started life as company cars, so may have been abused by uncaring owners early on. It’s worth seeking out the estate if you’re looking for something with a bit of IKEA space in the back, and it’s one of the best-looking Focus models too, but it’s worth noting that, in the switch from MkII to MkIII Focus, a lot of cabin space was lost. The old Focus had a truly cavernous interior. This one is actually a bit too snug, especially in the back. There are so many to choose from, so be picky. Around €9k should get you a nice 1.6 diesel in Zetec trim, circa 2012. There’s a reason that the Focus has consistently been one of the best-selling cars of all time in Ireland – it’s because it’s really, really good. The slightly tight rear space is an issue, but if you love driving then this is the family hatch to have.